Stellar – Home Theater & Automation – The Ultimate Entertainment Experience! 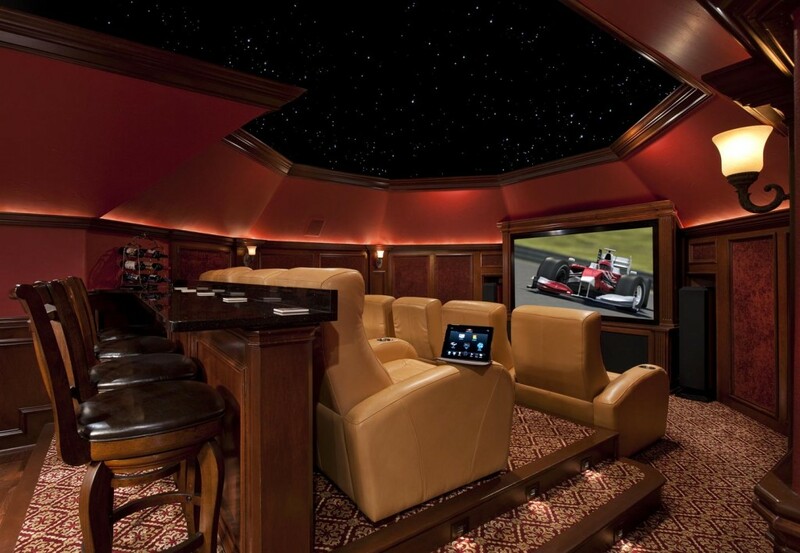 Stellar is your one-stop shop for Home Theater systems, Media Room and Home Automation in and around Dallas / Fort Worth area and in Austin, Texas. With more and more smart electronics playing a central role in your daily lives, you deserve an even smarter role at home. Home automation systems like Control4 and Savant have the mastermind solution, making it possible for virtually any appliance or device in your home to intelligently communicate with another – from locks to lights, doors to drapes – and you the ability to control them, no matter where you are. Create the perfect movie ambiance in one touch. Tell your thermostat what to do from Thailand. Manage music in multiple rooms. Get a text when your teenager comes home. Control4 gives you flexible solutions to design the home automation system of your dreams on a very real budget. Because a home automation system makes it possible for virtually everything in your home to work together – from TVs to receivers, Blu Ray players, stereos, speakers, even security systems, garage doors, pools and much more – your ideas of control can be as unique as you are. Set your lights to a maximum level of 80%; your eyes won’t notice the difference but your utility bill will! *Rhapsody membership requires a nominal fee. A strong network is critical in home automation. From designing a robust network with “no” interference, home automation is guaranteed to be fun all the time. Products from manufacturers such as Ruckus and Pakedge deliver the robustness and commercial grade quality required by several home automation systems. The STELLAR Automation team understands the importance of a strong network and the focus remains on maintaining this attribute in the forefront as we put together a strong automation system. With Home Automation like Savant and Control4, the possibilities are endless. Just come into any of our design centers and experience home automation today! Let STELLAR put together a customized automation plan for you to meet your needs. From a detailed wiring plan, with state of the art wiring designed to deliver the ultimate performance we look forward to being your automation provider for your smart home. Please sign up for a free consultation today! STELLAR is the largest CONTROL4 dealer in Texas, and a premier dealer for SAVANT home automation systems.